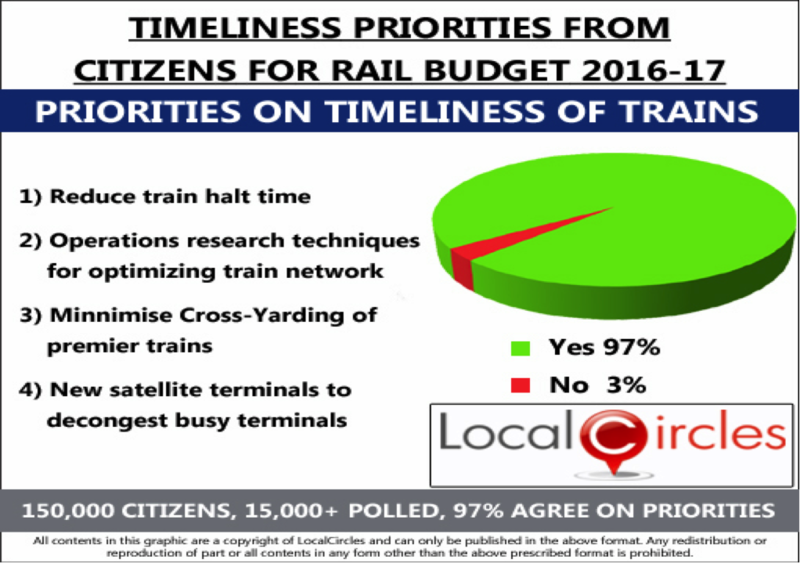 New Delhi, India, February 19, 2016 – LocalCircles (www.localcircles.com), India’s largest citizen engagement platform today released the citizen inputs for the Railway Budget in 2016. 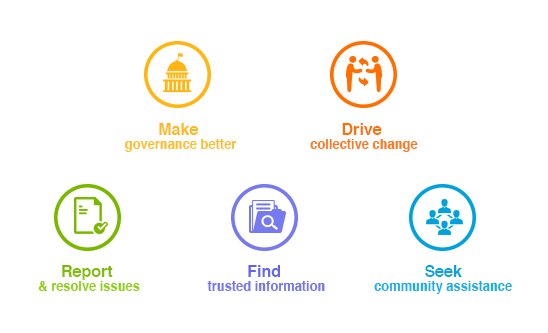 Over 150,000 citizens of India participated in this exercise with a series of structured discussions, polls and prioritization exercises setting a new example of participative governance. 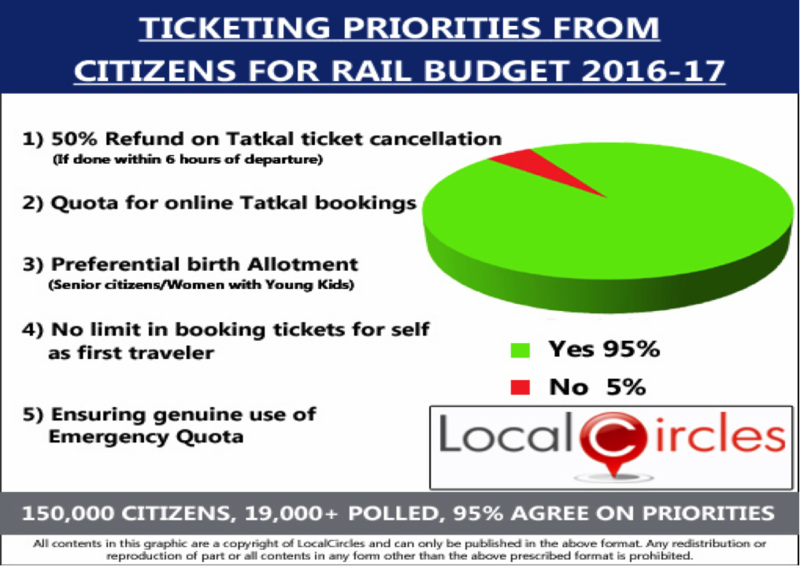 This report outlines the collective citizen priorities for Rail Budget 2016, the detailed poll results as well as priorities in various areas. 11. More phone charging points are needed, especially on side berths. 16. Cleaner and fresh bed rolls for AC coaches and available for purchase bedrolls for sleeper/general coach should be made available. 20. Loud warning Bells/Alarms must be sounded to alert the passengers that the train is going to depart. 20. Ensure that the train which is terminated at a station is moved to the parking area without undue delay. 20. The advance reservation time should be reduced from 120 to 60 days. Approximately 63% of the citizens surveyed have experienced or observed TTEs taking bribes for giving seats/ticketless travel. This is an area where citizens are keen that through policies, processes and systemic changes Indian Railways must address it such that the bribes taken by TTEs translate into revenues for the organization. 3. TTE's should be given a mandatory use GPRS machine instead of coupon booklet to avoid non-reporting of collected fine. 4. 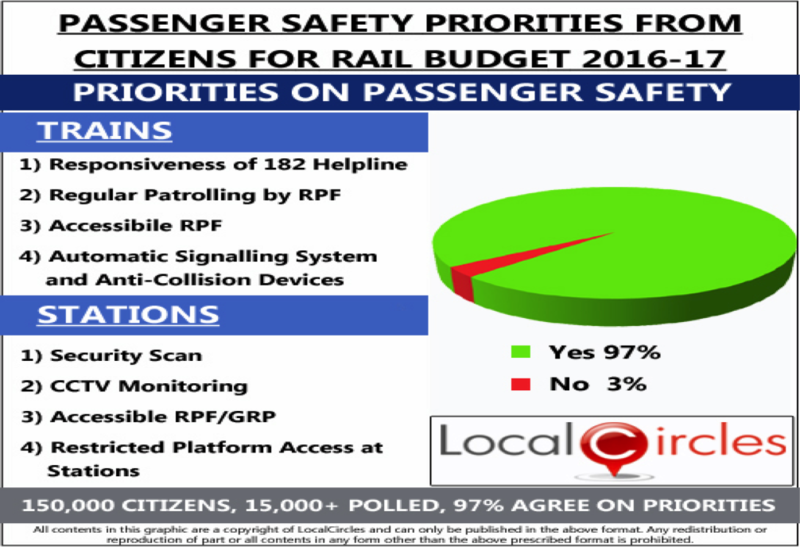 Vacant seats must be reported at every station via GPRS system by TTE which should be monitored at a centrally located BPO. Approximately 17% of the citizens have indicated that in case of last minute travel need, they will approach a tout or agent while another 9% indicated that they will prefer to approach someone in railways to secure the ticket under special quotas. 62% said they preferred to use the IRCTC website while 12% prefer going to the railway reservation counter.